The Neighborhood Environmental Assessment Project (NEAP) is a systematic environmental mapping initiative. Each year, the PRCHN team collects valuable community asset data to better understand the physical (or built) environment, such as food retail locations. With this data, we can create static maps or searchable, interactive maps to give researchers and community members a better understanding of the physical (or built) environment and how that affects the health of residents. 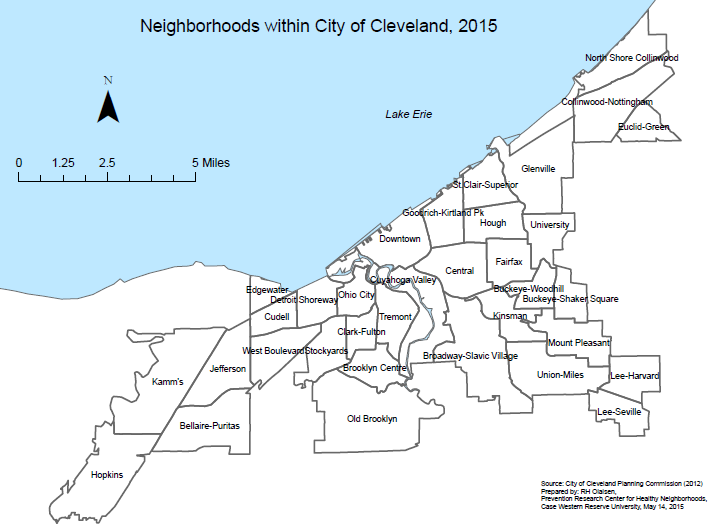 Since 2012, the NEAP team, including faculty, staff, students, and a significant number of interns, has driven the streets of our community to identify, map, inventory, and update lists of food retail outlets in the city of Cleveland and select suburbs. By layering the data in these maps on top of each other, we can get a better idea of what areas have access to indicators associated with a healthy lifestyle, for example a full-service grocery store, a park, a community garden, or a farmers' market. The NEAP Project has two major components, Map Resources and Tools. 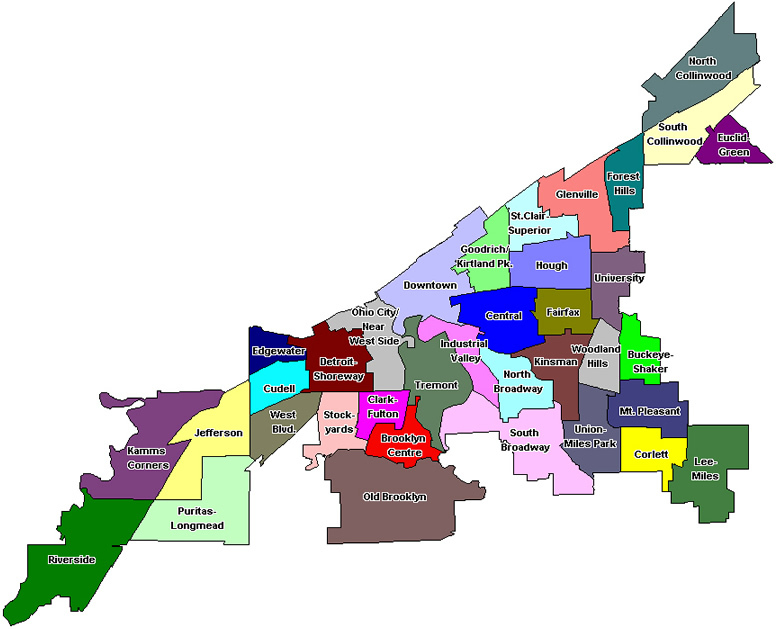 Each of these components allows researchers and community members to explore large or small portions of the Greater Cleveland area. Interested in the tools NEAP uses to survey community resources? By relying on new and established environmental assessment tools, we undertake primary data collection within Cuyahoga County using evidence-based research methods. The data we collect gives us detailed contextual insights. Because we capture context data annually, our data sets are ideal for spatial-temporal trend analyses. To learn more about the tools we use and innovations developed in-house, explore the NEAP Tools page. Download a one-page information sheet on NEAP!